Teen drivers account for more car accidents than any other group of drivers on the road. This, for good reason, leaves parents worried every time their child grabs the keys. Thankfully, there are a few things you can do to help keep your teenager safe behind the wheel and put you at ease. While your teen is a passenger in your car, do your best to drive as safely as possible in order to set a good example. This includes wearing your seatbelt, signaling for turns, following at a safe distance, and staying off your cell phone. In addition to driver safety, it’s also important to make sure your teen driver is properly insured. 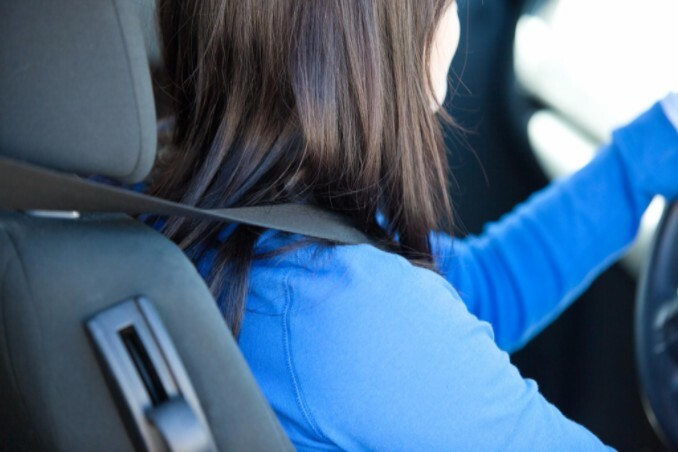 Teen driver insurance laws vary on by state. For instance, in Texas, teen drivers must be covered with a minimum amount of liability insurance for injury and death of victims of crashes. Be sure to review your state’s auto insurance laws before letting your teen get behind the wheel. Riding with your teen as they begin to drive is a great way to teach, which is why it’s required during the permit stage. Use this opportunity to let them practice on many different types of roads and at different speeds. Show them some potential hazards they may face when they start driving and how to handle each situation safely. Some hazards include debris, potholes and unsettling weather. Driving while using a cell phone has been compared to driving while drunk, so it’s extremely important that your teen understands the dangers of talking or texting while on the road. Some states have even outlawed using a cell phone behind the wheel, so make sure that your teen understands the law. Florida does not currently have a ban for talking on a cell phone, but the state has outlawed texting while driving. Encourage them to turn their cell phone off completely, turn it to silent or put it in a place where they won’t be tempted to reach for it while driving. Be sure to provide regular maintenance on the car that your teen will be driving. This means checking the tires and tire pressure, making sure all fluid levels are good, ensuring brakes are in working order and changing the oil regularly. Additionally, providing your teen with a car that has great safety features built in can also help give you peace of mind. These features include reliable front and side airbags, anti-lock brakes, etc. Sometimes, these technology alerts can be used to lower insurance premiums as well, and more and more parents are taking advantage. If you or a loved one has been in a car accident, the experienced Tampa personal injury attorneys at Lorenzo & Lorenzo are ready to help. We understand your rights, and we can help you receive the compensation you deserve. Contact us today for a free consultation.